"I want to liven up the tactical market with great new designs and nothing but the best materials — in other words, stay away from cookie cutter tacticals." I started out in 1988 thinking I could make a better knife than the ones I was buying, and I've been a full-time knife maker ever since. I was a Machinist in my former job, and I knew how to work with steel; but it was harder to get known back in the days before the Internet, so you had to get pictures of your knives in the magazines and also run ads in those mags. Rod Olson was an early mentor and showed me the ropes of tactical folder engineering. 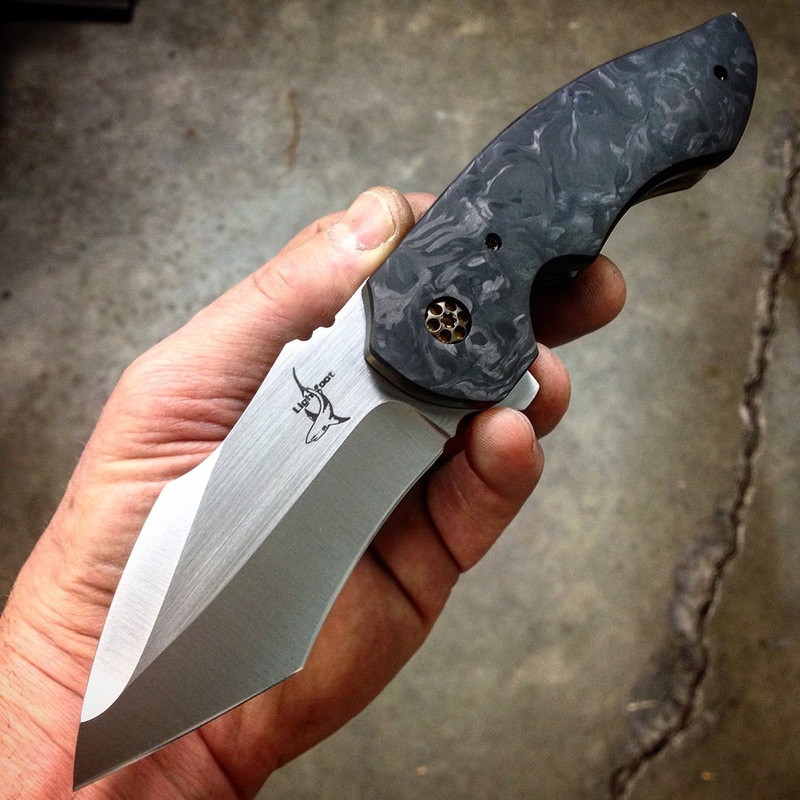 Tony Marfione taught me how to do a hollow grind in 1999, and in 2000 his L-CC went gold at the Atlanta Blade Show. Another early design influence came from Joel Pirela; I thought he made a sweet knife and a number of his designs inspired my own. I met Jared Van Otterloo in 2014, and his energy and passion for knives and social media gave me new ideas. I loved his folder design ideas, and he had the ability to support and enhance my own designs and make them better. This coalesced into a true collaboration and my newest designs, starting with the Pit Boss and most recently the Falcon-X. Email lightfootknives@gmail.com today to get on Greg's books.